Hi there friends! 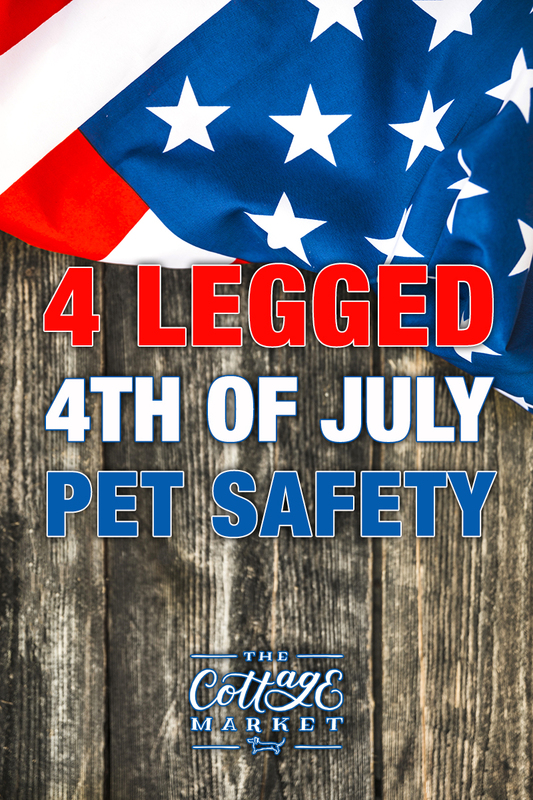 The 4th of July is upon on so it is time for some 4 Legged 4th of July Pet Safety! This wonderful Non Profit Group came to me to spread the word about keeping your pets safe during this time of year and all through the year. 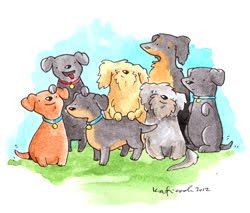 They are Non Profit and 100 percent of their profits are donated back to our furry friends. 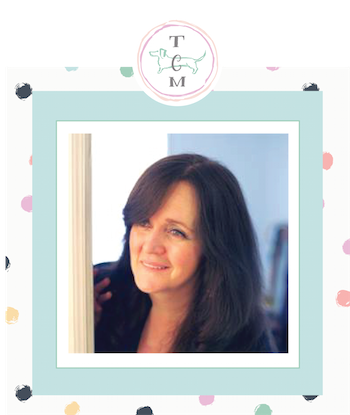 This is the kind of place we LOVE at The Cottage Market’s Down The Rabbit Hole and we thank them for all they do for animals. So come and listen to how you can make your pets SAFER during this noisy and hot Season and all year round! While the 4th of July can mean fun, food, friends and fireworks for people, for our pets, it can feel more like a scary alien invasion! Each year over 10 million dogs and cats are lost or stolen in the U.S.1 and more pets are lost on the Fourth of July than any other day: according to the ASPCA, nearly one-in-five lost pets go missing after being scared by fireworks. In fact, July 5th is the busiest day of the year for animal shelters, which fill up quickly with animals who panic and flee the bright lights and loud noises of holiday celebrations. Make sure your pet is microchipped. Double check that your pet’s microchip is registered and contains the correct name and your current phone number and address, otherwise there’s no easy way to reach you if they’re found! If your pet is chipped but not registered, you can register for free here. Head indoors before the fun begins. 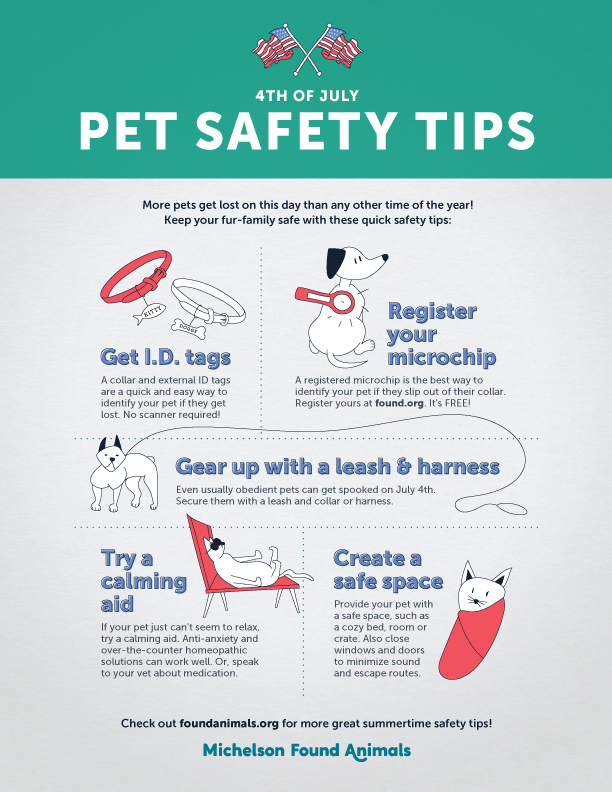 Don’t wait for the fireworks to be in full swing before taking care of your pet. It’s best to bring him or her indoors or put them in a cozy spot well ahead of the first boom of fireworks. In addition, create a safe, escape-proof space in your home. Lower the blinds, close the windows, provide a bed or crate where they feel comfortable, offer a special chew or toy to distract them and turn on the TV or radio to help mask the noises outside. Wrap them up. Confining movement in dogs and cats actually has a calming effect on them, which is why you might want to consider an anti-anxiety wrap or coat. In a pinch, you can even create one from a scarf. Check the Locks: Make sure that your doors, gates and windows are all closed prior to the fireworks display. Not only will this help muzzle the loud sounds that frighten pets, but will help prevent an escape! Don’t forget to checkout Pet Gallery for some very important information plus some YUMMY Treats! 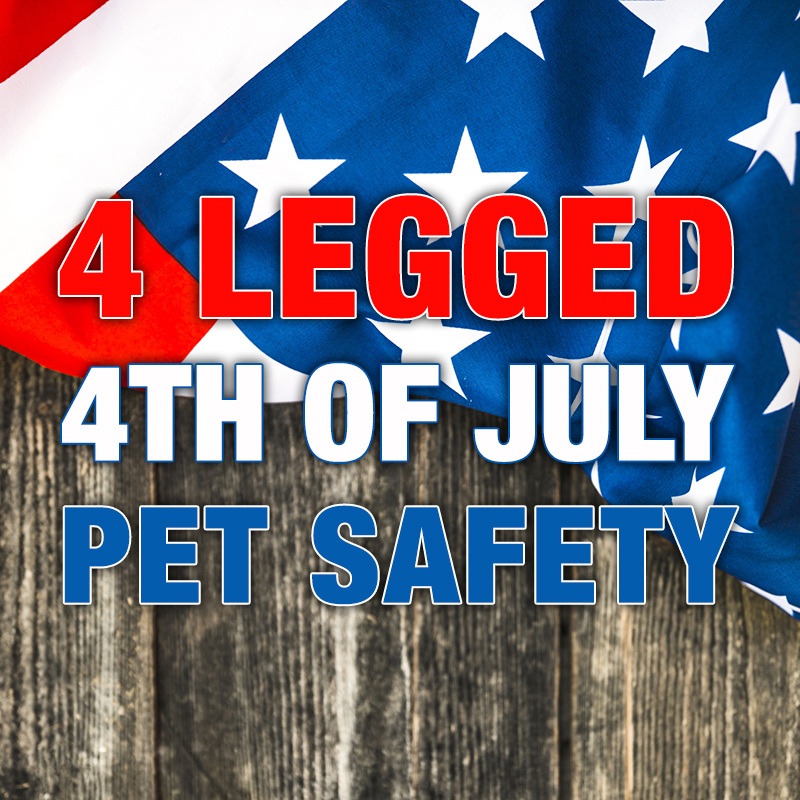 Please keep your Pets SAFE this 4th of July and every day!